2. We live in a gated community, I need to know the driver’s name by Thursday night so not to confuse the guards. If you are thinking of coming and end up not showing up, this is OK, just please give me your name. 4. What I have will be 1-2 table power Jigsaws, Routers, Power Sanders, Power drills and other small power tools. ONLY THE ADULTS CAN USE POWER TOOLS! I do have manual drill, coping saws, sanding blocks and I suggest if you have interest let the scout use these as much as possible, but no pocket knives unless you are a Bear and above and earned the whittling chip. 5. If you need assistance, I can help, and I hope to have my friend who is a retired wood shop teacher there and practice wood and more kits if necessary. If you need us to do the cutting, no problem. 6. If you have safety glasses, please bring them as I only have a small quantity. At all times, during power or hand tool using you MUST wear safety glasses! 7. I am not planning any painting areas, please plan this yourself. If for some reason you must install the wheels here and paint, please get Krylon spray paint as its dries very fast. January and February are always very busy months for the pack! First - our pinewood derby is coming up, so if you don't have your car, check with your Den Leader ASAP. Finally, many of our Parent Volunteers' scouts are soon graduating to Scouts BSA, so we need the next generation to step up and guide the pack. Please attend our Parent meeting at La Madeleine at Carillion Center, Wednesday January 16th at 7pm, and help our pack stay strong and successful. SAVE up to $5 on tickets plus FREE Monster Jam Scout Patch and FREE Pit Party PASS! Scout ticket prices range from $37 to $17 based on seating location. Monster Jam® is adrenaline-charged family entertainment providing jaw-dropping displays and gravity-defying feats that promise to always leave fans entertained. Monster Jam events feature some of the most recognizable tricks in the world including Grave Digger®, Max-D®, El Toro Loco® and many more. Our world-class drivers push these perfectly engineered Monster Jam trucks to their limits in Freestyle, 2-Wheel Skills and Racing competitions that will put families on the edge of their seats and leave them craving more of this unexpected, unscripted and unforgettable event! The Pit Party is your opportunity to get an up close look at the amazing trucks of Monster Jam and receive autographs from your favorite Monster Jam drivers. 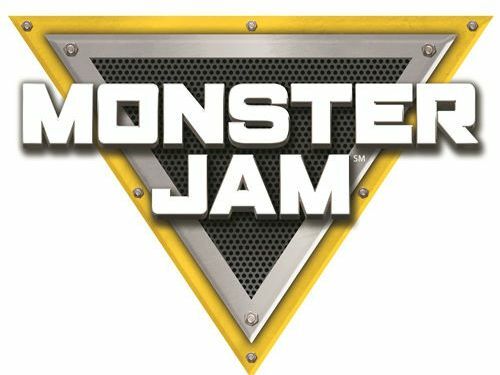 The Monster Jam Pit Party will take place from 2:30 p.m. - 5:30 p.m. No Pit Party admission after 5:00 p.m.
For information or to order groups of ten or more, contact Christina at 281-367-9717 or email at christina@texasgrouptickets.com. Or purchase tickets online by clicking here and use the password BSCOUT under “Offer Code”. Note that service and handling fees will apply for online purchases. After purchasing tickets online, call Christina at 281-367-9717 or email at christina@texasgrouptickets.com to request patches. Not available with any other offer. Deadline to order tickets is one week prior to event date. It's family Camp, siblings are welcomed and at least one parent must attend with the scout. Fee is $40 per person, which includes Saturday Meals and Sunday Breakfast. Please RSVP yes OR no ASAP here. Welcome back everyone to another year of scouting fun. You will see lots of changes around you - lions and girls of all ranks have joined us! That means any of your friends, from kindergarten to 5th grade, can join in on the fun. On August 12th, we will be having our Annual Pool Party. Not only is this a great chance to reconnect with your scout friends before we resume our activities, but it is also a very cool way to introduce your friends to Pack 1040. Since this year, we will now welcome kindergartners and girls, you can invite all your friends! Click on the image to the left to download a poster you can print or email to your friends. The pack will provide pizza for dinner! Current scouts can bring their books and work on water related achievements and take the BSA swim test. Please RSVP via scoutbook and add in comments if you are bringing guests.